Canadian Exempt Market Investments - are they for you? What is a typical Exempt Market Investment? Typically, exempt market investments deal with private enterprises that are either small or medium in size (SME). By investing into exempt market products, you’re buying into a specific business or a business project. In this case, businesses want to raise money to expand operations or execute on a new business venture without going through the process of going public and selling their stock on the open market. They are exempt from prospectus requirements (hence the term “exempt investments”) and require less disclosure than a prospectus offering. Imagine your local burger joint raising money to open a second location. It is notoriously difficult to borrow money for business ventures and even if you do it will cost you dearly. Unless the owners can save enough money for the second location on their own, they’re forced to seek outside investors. One way would be for the burger restaurant to go public, get listed on a stock exchange, and raise the funds through selling their shares. Even if it’s the best burger restaurant in the world, financially going public will not suit them as it’s a rather expensive process, and the restaurant is not big enough. Even then – they don’t need to raise billions of dollars. They just need some capital for expansion into a second location. Instead, the burger restaurant owners approach an exempt market dealer and present an investing opportunity for their clients (everyday investors), lay out the risks and opportunities, their experience, and figure out the structure of an investment. Sometimes owners put their own money on the line as well. Exempt market dealer passes it to the investors; investors pool the money together, and become part-owners of the new burger restaurant location. The owners run newly opened location by using the funds raised. If the investment is successful, they enjoy a return on their capital and probably some delicious burgers. Here’s a good example of such investment. Let’s say you’d like to invest money into Canadian farmland. The values of farmland across Canada are going through the roof, and you’d like to jump on this gravy train. One of the options you have is to physically buy a strip of farmland in Saskatchewan through a real estate broker, collect rent from farmers by receiving cheques in the mail, and in process enjoy a steady climb in property value – just like my friend Liquid did and described the process in details on his blog – http://www.freedomthirtyfiveblog.com/investing/farmland-investing. An alternative to this hands-on approach would be to invest your money into a company that specializes in farmland investments and let them acquire farmland by using their expertise. Once they sell off their holdings, you’ll enjoy a return on this investment thanks to rising values of properties they’ve been holding. This would be a good option for somebody who doesn’t have the expertise , time, or guts to purchase farmland themselves. How do you invest into exempt market products? If you’re provided an offering memorandum or OM (legal document stating the objectives, risks and terms of investment involved with a private investment including items such as the financial statements, management biographies, detailed description of the business, etc. ), you can purchase exempt market products from qualified exempt market dealers and dealer’s representatives. Exempt market dealers will provide you with information on all investment products they carry. They will make limited recommendations and caution you of risks and possible downsides of these investments. There’s a certain due diligence process that needs to be followed before exempt market investments become available through them. 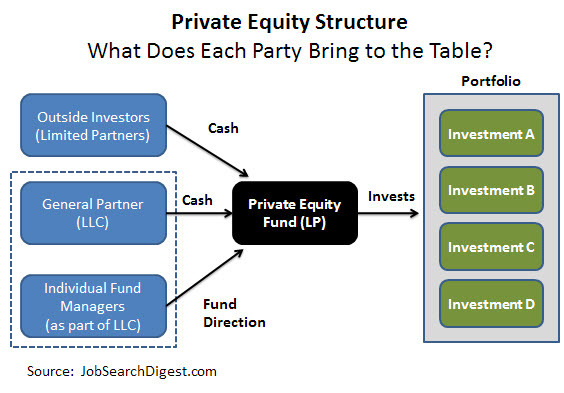 Private equity investments used to be a wealthy men’s game. It also used to be a bit of wild wild west with minimum regulations. Now things are changing and retail investors are able to gain access to these investments by buying them from exempt market dealers (EMDs). It’s now a more regulated space requiring licensing and increased focus on protecting investors. What are the risks of investing into exempt market products? If you’re investing into traditional large companies like Google, Apple, or McDonald’s, you can become a part owner of the business in a matter of seconds. If you have a brokerage account, you can simply go online, transfer some money from your bank account, and two seconds later you are a proud 0.00000001% owner of Google or Starbucks. But then you go to Starbucks, and they spell your name wrong on a cup (like Christy instead of Kristy), and you get upset with them. You basically want to severe your relationship with this evil company that doesn’t get all the beauty of your unique name. In the matter of seconds you sell their shares, and feel pretty good about bullying a major corporation. It’s very easy to buy and sell shares on the open public market because there are plenty of buyers for it. As soon as you want to sell, somebody wants to buy it from you. With exempt market investments, things are not this easy. Once you buy an investment, you’re stuck with it. If you need the money all of a sudden or the business isn’t going as well as planned, you can’t simply turn around and sell it. Once you put your money in, you’re on for a ride through highs and lows. You can’t simply jump off until the investment comes to its logical conclusion which is a planned exit opportunity and distribution. In short, do not put your money into exempt market investments if you can’t afford to leave that money alone for a long period of time. The beauty of investing into a large public company such as Apple or Suncor Energy is the sheer volume of detailed financial documents available to you as a requirement of being traded on the open market. You have access to their quarterly financial documents, financial metrics, and even forecasts by their executive team on how they see business performing in the future. Based on all of it, you can make investing decisions and make changes to your portfolio. On top of it, large public companies are deeply regulated by the government. Exempt market investments and companies that raise capital through it are a different story. While they’re still regulated by the government, the regulations are much looser. The amount of financial documentation filed by the company is lower too. Instead of quarterly statements, they might issue only annual documents. While there’s a due diligence process before the investment products becomes available through an exempt market investments dealer, the process might differ from dealer to dealer. Government securities regulators also don’t review the offering memorandums (OM) prior to you investing your money. When you’re investing your money by buying shares of major Canadian banks or utility companies, the risk of the stock going to zero is relatively low. It’s there, but it’s low. Since they’re a major part of our financial system, the govt would rather bail them out before seeing them crash and burn. If you’re investing into a broad index fund or a mutual fund, the risk of you losing money is even lower because it would require all of the shares held in a mutual fund go to zero. Exempt market investments deal primarily with small and medium enterprises (SMEs) that operate in much smaller markets with much smaller footprint. The risk of going bankrupt with these companies is much more pronounced because smaller and medium-sized businesses go bankrupt on a regular basis. So, if you’re investing into exempt market securities you should really think about the possibility of losing your entire investment. In fact, if you’re buying an exempt market investment, you’ll be signing a form stating you understand this risk. Did I mention you can lose all your money? I believe in investing your money despite the risks. If you don’t like risk, you should not be investing your money at all and keep stuffing it into GICs or your mattress. We want to reach that proverbial financial independence. There’s no better route for us than by investing money into other companies as opposed to stockpiling money. Some of these companies will be large predictable companies operating for hundreds of years. Some of them will be banks who will pay us steady dividends. But I’m fine with taking some calculated risks and investing small amounts of money into smaller companies through exempt market investments. Key words being “calculated risks” and “small amounts of money”. – Investing into small and medium companies provide your portfolio with diversification. Yes, they’re risky but often provide higher investment returns than open markets. It’s like having a wild card in your hand. – With our net worth nearing $400,000, we can afford to invest some money and forget about it for 5-7 years by investing it into illiquid exempt market products. In fact, on some level I prefer to invest this way because it prevents me from getting emotional about my investment and hitting the “SELL!!! SELL!!! SELL!! !” button every time I hear the sky is falling on TV. – Exempt market products often operate in smaller niche markets. Often times, it means they’re not correlated with the overall public market performance where good news or bad news will either lift or sink multiple companies simply due to investors’ emotions. – I like small and medium businesses. When I read information on various exempt market investments, I can clearly understand the premise of the investment. Companies that are being traded on NASDAQ or NYSE have hundreds of subsidiaries and very complicated financial processes. I might know their products, but for the life of me I can’t understand how exactly they make money. – With some alternative investments, a great alignment between interests of investors and those of the management team can be reached. For example, the investment is structured in such a way that the management team or the owners don’t get to enjoy the profits until the investors see some predetermined rate of return on their investment (known as “hurdle rate”). Sometimes investors must see their invested capital come back before any profits are distributed. This puts a greater emphasis on performance. With traditional mutual funds, management team gets their money regardless whether or not the mutual fund makes or loses money. Properly structured exempt market investments can help avoid similar situation and make sure investors are happy. I will keep you posted on the progress of these investments even if I lose all of my money.